Games can be truly engaging and exciting. The biggest brands in the world have adapted game elements to their marketing strategy. With good reason: gamification delivers measurable results. Obviously there are many different kinds of games that appeal to all kinds of demographics, so marketers need to design the game mechanics and theme according to their target group. Statistics from very popular games like Candy Crush, which has been downloaded an amazing 2,73 billion times, show that the typical player is a woman older than 35. More than 70% of the players are women. This audience is also the typical shopper in most consumer goods categories. For other games, like Clash of Clans, the player profile is represented more by younger male audience. Games can make your advertising and communication more interesting and engaging. By integrating a game or game mechanics in your marketing you can boost your conversions significantly, in almost any category and channel. The trick is to create a unique customer experience that is fun, exciting, rewarding and aligned with your brand. Most importantly, for the gamification to be successful, it needs to drive the right KPI’s. The game design, mechanics, story and concept has a big impact on the outcome. The first question to ask is what you are trying to achieve with your marketing game. Is it awareness, engagement, conversions or loyalty? When you have the right concept, based on your objectives, you need to think about the mechanics and the game experience. With simple games you can move the customer through the funnel and into the conversion you are aiming at. To bring in a big audience to your game, you need to consider which channels to use. We see around 90% of traffic coming through mobile to marketing games that we develop. Social media ads get high click-through-rates when the game is promoted with the right type of message that resonates with the target group. Also, with the right type of incentive in place the players will share the game with their friends, creating a big boost in traffic. A game can be simple to develop with all kinds of tools available to marketers, but the most important part is not the game platform or the technical part. Like with every other marketing tactic, the story and the communication is what grabs people’s attention. The home decoration retailer Hemtex wanted to create action, drive sales and signups during an important period in time. The objectives were clear and we created an instant-win game, where the participants spinned a wheel to see instantly if they won. 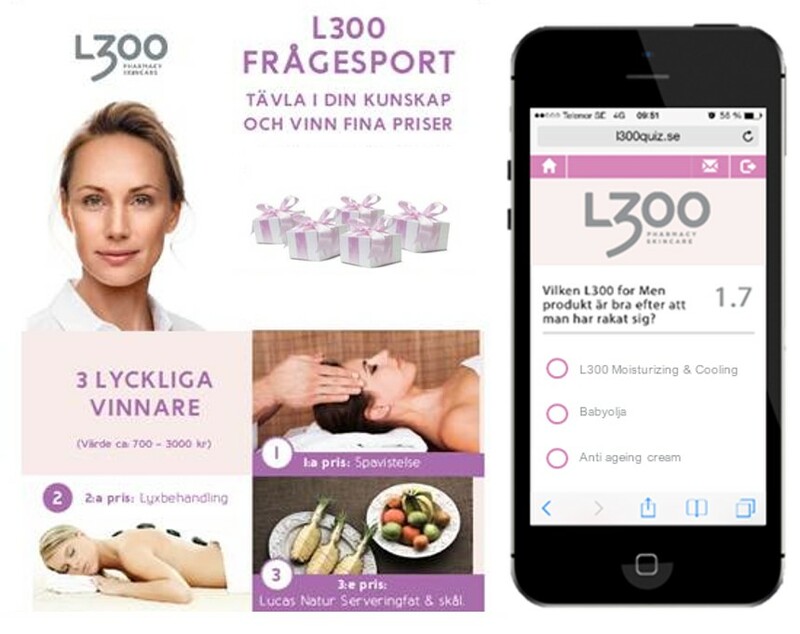 Almost 50 000 coupons were won and distributed to the shoppers, that they could use for special discounts in the stores and on the webshop. This drive-to-store mechanics created incremental sales for the stores. The member recruitment was done with a simple question if the participant would want to join the newsletter list. A big percentage of the participants opted in. 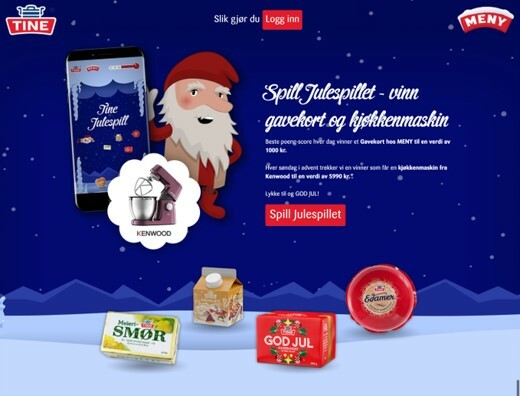 Norway’s leading dairy company, Tine, wanted to extend their big Christmas campaign with an engaging activation in the stores. Loyaltic created a fun skill-based game where the brand’s iconic christmas elf was the main character that the user would steer throughout a winter landscape and collect Tine products for points. The ferry company Viking Line needed to fill up their ship during the summer period. Our team created a concept and targeted communication to four different target groups with messages that would appeal to them. The game helped Viking Line sell more than 12 000 tickets during a few weeks. We’ve created lots of quizzes and games to engage staff at retail outlets. Many brands need to educate their sales channels to understand and remember the key selling points of their products. A game can make the educational event fun, engaging and rewarding. Drive-to-store games can be used to increase sales. Consumers can play for free for a few times, but to get more game-plays and more chances to win they will need to buy a product. Interested in gamifiying your marketing? Get in touch and see how we can help.